At Cremer & Cremer, we believe that when our clients succeed, we succeed. We offer strategic advice and an aggressive approach at the outset of every case to ensure that we are creating the best solution possible for our clients. From the discovery process through trial, our attorneys are committed to protecting your rights and best interests. Cremer & Cremer offers a tradition of excellence, service, and advocacy to the business and individual clients of Indianapolis and throughout the state of Indiana. Contact us for an initial consultation or case evaluation. 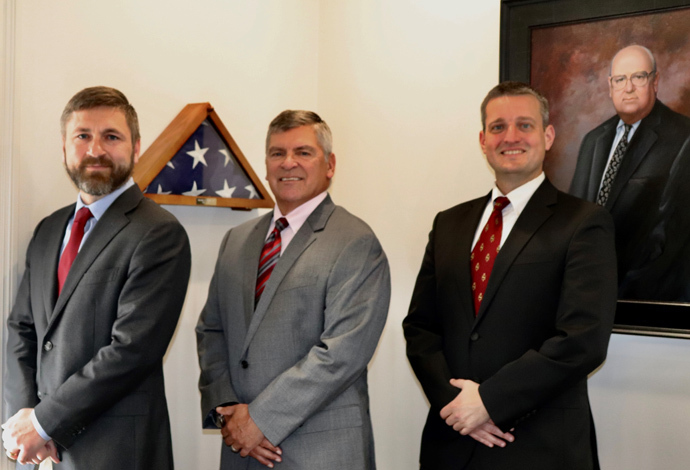 Our attorneys offer strategic advocacy and dedicated legal representation to individual and business clients throughout the state of Indiana. We are committed to providing every client with sound counsel, personal attention, and the professional diligence that yields results. Our firm offers a broad range of legal services and maintains a practice focused on personal service, efficiency, and results. Our firm is experienced in the areas of estate planning, including wills and trusts, trust and will contests, tax law, estate administration and trust administration, succession planning, and appellate law. We offer a broad range of services in both our transactional and litigation practice areas. Whether you are creating an estate plan, need help in settling an estate, or require the services of experienced litigators to prosecute or defend an estate or trust related dispute, we have the experience, skill, and dedication to successfully handle your case. Cremer & Cremer is a small boutique firm providing comprehensive estate and trust services. We take great pride in our legal writing as well as our ability to communicate orally with judges and juries and translate complex legal and factual issues into common sense but compelling arguments. Cremer & Cremer maintains a full service trust and estate related practice designed to avoid the outsourcing of legal services commonly associated with firms which provide only planning and administrative services. Because the firm is small, clients can expect personal and efficient attention to their matters uncommon to larger firms. Contact Cremer & Cremer for an initial consultation or case evaluation with an experienced Indianapolis, Indiana estate planning and litigation lawyer. For over 40 years, we have offered a tradition of service, advocacy, and results to business and individual clients statewide.